Anyone in their right mind would back out as quickly as possible and make a run for it when encountering something like that. So why are a lot of small business websites doing it anyway? It certainly doesn’t help convert website visitors into paying customers. A pop up here, social media feeds over there and, of course, recent blog posts and latest offers, too. If your website fires everything at once at your visitors you risk losing out on a lot of business. For you as small business owner, all of those things are equally important. But your potential clients only want to see what’s relevant to them. So how can you guarantee a smooth user experience for each and every visitor to your website? 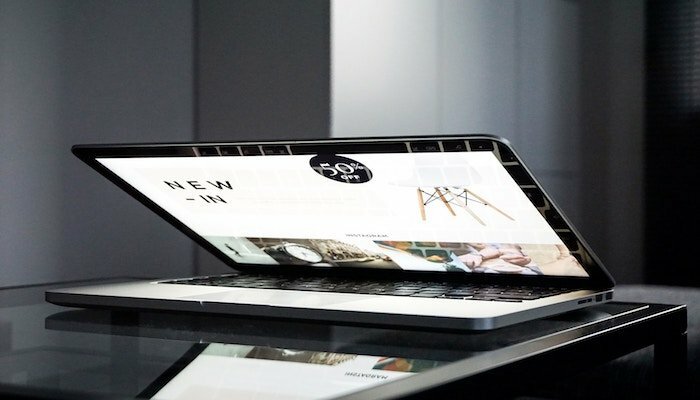 Check out these 6 tips to convert website visitors into paying customers! When planning the structure and content for your small business’s website, limit yourself to one call-to-action. That means encouraging the visitor to do one thing, and one thing only. For example, “buy now”, “sign up” or “get in touch”. To find out the right one for your website, ask yourself what people are looking for when coming to your website. Use Google Analytics and user testing to learn more about their behaviour on your website and focus everything on delivering a solution as quickly as possible. Read more about how your web copy can improve your conversion rate. In order to convert web visitors into paying customers, make your USP (unique selling proposition) clear to the reader on every web page. Also, talk to your specific target audience and speak their language. Don’t try and sell to everyone and anyone. Similarly, always speak directly to your reader using “you” and “yours”, and avoid always speaking about yourself (“we” and “us”). ‘A picture paints a thousand words’ – so use images to replace copy when you can. You’ll find that most web visitors find large chunks of text hugely off-putting. Too much text and not enough visual elements will only result in a potential customer clicking away from your site. And keep in mind that this applies even more to your mobile web visitors. Make sure to use an easy navigation with clear internal links. For example, your homepage should have obvious links to your blog, contact page and services. And not just in the visible menu at the top, but also within your page’s content. This doesn’t just please your web visitors but also Google as it improves your SEO (search engine optimisation). Ideally, your website should have one menu with a maximum of 6-8 items, all with short titles. This guarantees an easy-to-understand and concise navigation that allows visitors to find what they’re looking for with ease. While you’re decluttering your menus and copy, make sure the page isn’t too busy with sliders, carousels or moving parts in general. They might look nice, but they increase loading times and distract the reader. Instead, stick to one visual focus, keeping different colours, pop-ups and banners to a minimum (or removing them altogether).